There is perhaps no facet of modern society where the influence of computer automation has not been felt. Flight management systems for pilots, diagnostic and surgical aids for physicians, navigational displays for drivers, and decision-aiding systems for air-traffic controllers, represent only a few of the numerous domains in which powerful new automation technologies have been introduced. The benefits that have been reaped from this technological revolution have been many. At the same time, automation has not always worked as planned by designers, and many problems have arisen--from minor inefficiencies of operation to large-scale, catastrophic accidents. Understanding how humans interact with automation is vital for the successful design of new automated systems that are both safe and efficient. The influence of automation technology on human performance has often been investigated in a fragmentary, isolated manner, with investigators conducting disconnected studies in different domains. There has been little contact between these endeavors, although principles gleaned from one domain may have implications for another. Also, with a few exceptions, the research has tended to be empirical and only theory-driven. 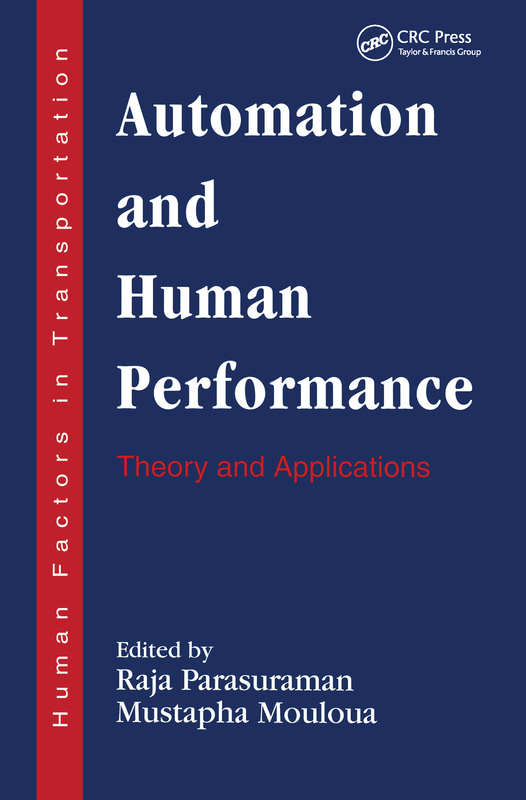 In recent years, however, various groups of investigators have begun to examine human performance in automated systems in general and to develop theories of human interaction with automation technology. Human Decision Makers and Automated Decision Aids: Made for Each Other?